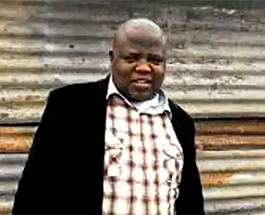 Chippa lived in a shack in Nyanga, a township in Cape Town, South Africa. He was barely able to provide for his family and at the worst of times, he had to beg for food just to have something to put on the table. ‘I felt like I was stuck in life. I attended the Universal Church, but I felt no sense of purpose. People would avoid me because the night before, I had been to their house begging for food; they knew what my life was like. I was just a security guard, earning the equivalent of £300 a month; I used to look after houses and also cars in car parks; some people did tip very well, but it was not enough to take my family forward. Our shack had no furniture and nothing of value; we literally had to fight for food. Our situation was dire. ‘I had had enough humiliation. If you are God, I have to follow You, otherwise what is the point of coming here. 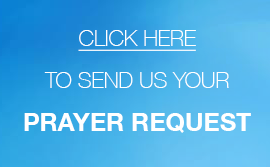 I took the decision to start praying more; my neighbours used to ridicule me on the streets and say things like they had heard me pray the night before, or, when I worked night shifts, they used to say they knew because they heard no one pray from my house that night. Chippa had been attending the church for about four years but, at that point, he decided to take up a Challenge of Faith. He had all to win and nothing to lose. Chippa says that it was that same feeling that made him start a business. He says that it was as if God was speaking to him and that, through faith, his desire to own a business grew. Although Chippa was finally prosperous and life seemed to be smiling down on him, there was something within him that told him that this wasn’t the end of his journey, which is why he decided to take up another Challenge of Faith. ‘People thought I was crazy; they said that I already had what a lot of people hope for. But I knew that only being a security company owner wasn’t for me. So, I started from scratch again. Ultimately, Chippa’s big break came with an innovative idea. He approached Pick n Pay, the second largest supermarket chain store in South Africa, and proposed an idea: that they hire him to collect their shopping trolleys that people were using as modes of transport and then sell them to the scrapyard for money. At first, Pick n Pay wasn’t interested, because they didn’t think they were making enough money to hire someone to retrieve them. However, Chippa persevered, and the supermarket chain caved in and hired him. It seems that Chippa was definitely onto something, as, in the first month, he and an employee (he hired someone to help him) picked up around 800 trolleys; Pick n Pay then offered him a contract of R40,000 (£2,200) a month. This was the start of Chippa’s rags-to- riches transformation; from then on, he built everything that he has now. 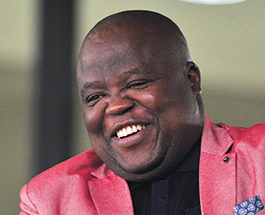 Today, he is a successful property developer; he has many assets, including homes, cars, and commercial buildings, as well as owning South African club Chippa United. Chippa and his family now live in Van Riebeeckshoff, a suburb in Bellville just north of Cape Town.